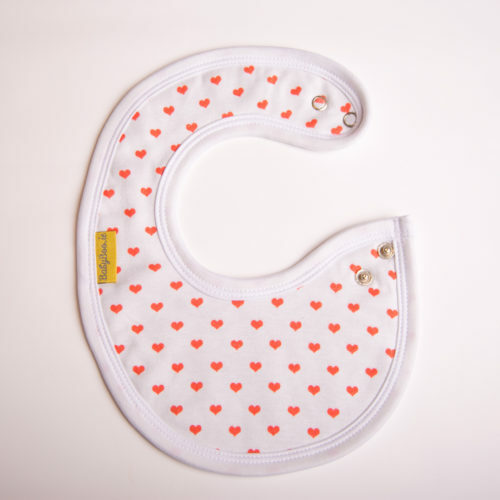 This bib will be perfect with so many outfits on your little one. 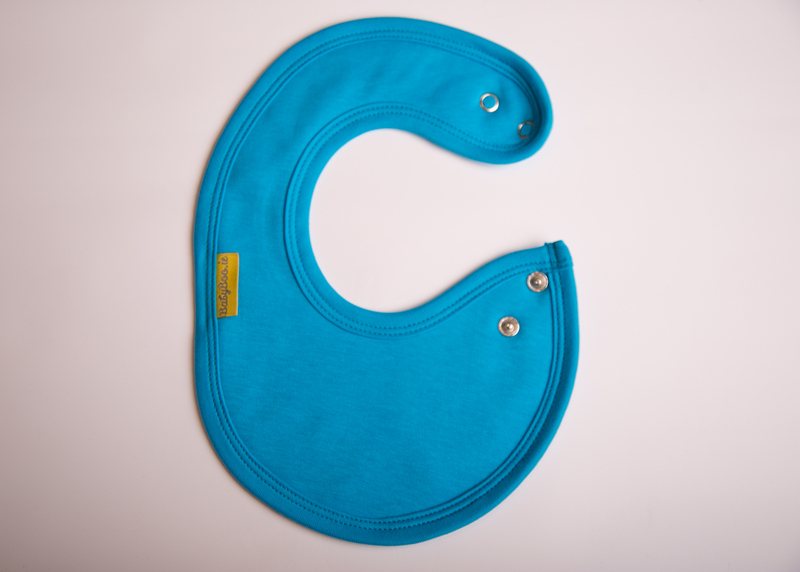 Our latest product is sized and shaped specifically for a newborn or young baby. It sits on your baby’s shoulders so it soaks up any milk they lose out the side of their little mouth. 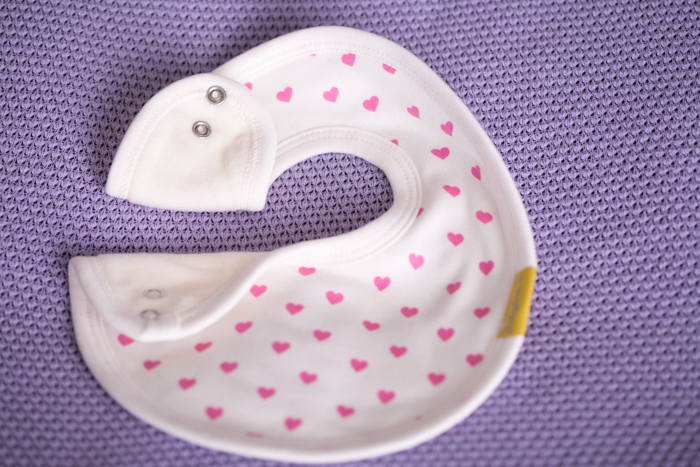 Particularly helpful if your newborn has lip or tongue tie. 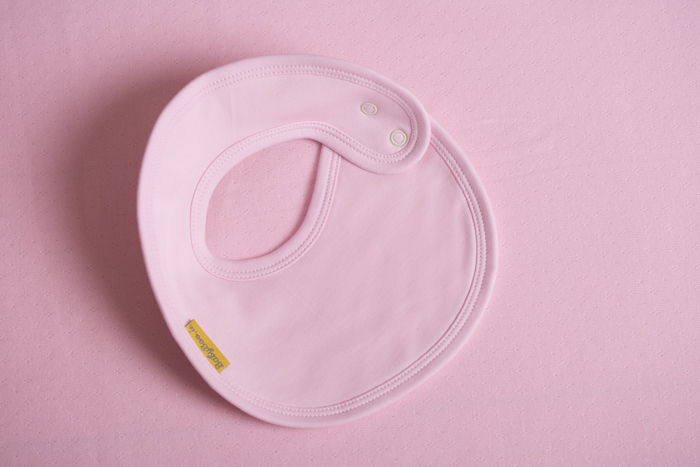 Drool busting, cute looking, rash avoiding, dry clothing, double layered bib! 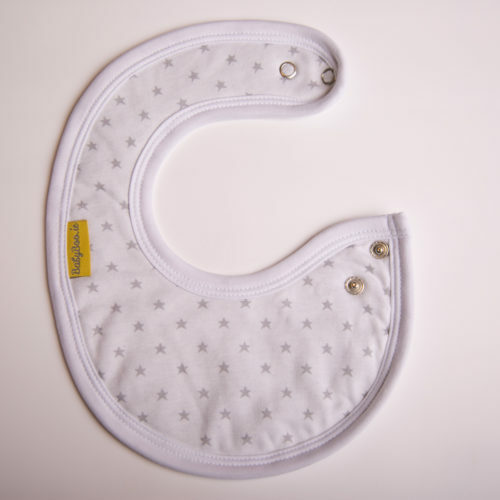 These bibs are fantastic for soakage, they have three layers and the inner one is fleece so no matter how much your little one loses milk their clothes, chest and under chin will stay dry. You won’t need to change their bib every half an hour either! They wash well, dry well and look well, what more could you ask for?